It is an over the collar bandana so there are no ends to knot. You just slide it on and it will stay in place while you pooch struts. You can also get it wet and put it on the collar to help keep your pooch cool on warm days. The banadana is made in my smoke free, pet-friendly home. You can wash it in the washing machine - I would recommend drying it flat or on the line. Each bandana will be special for your critter, however it is the owners sole responsibility when in use. 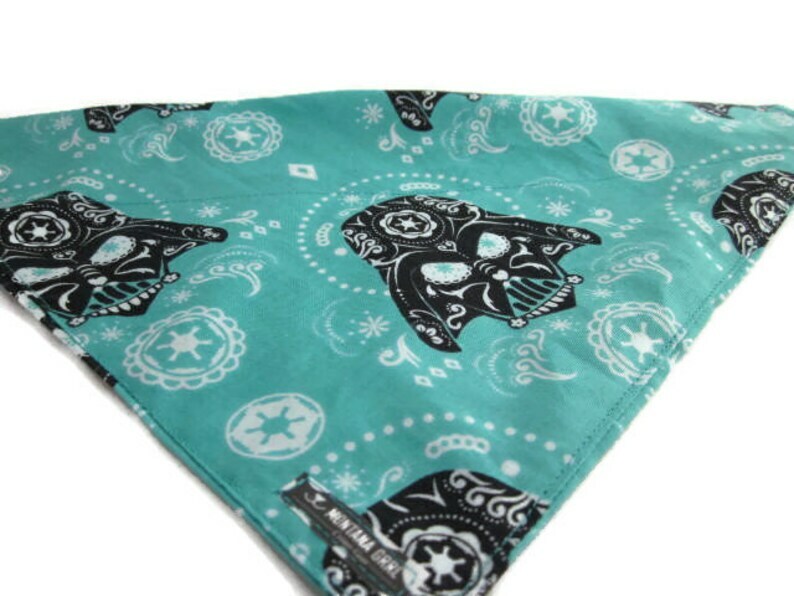 Routinely inspect your bandana for wear and tear and replace as needed. Montana Grrl Critter Gear is not responsible for misuse of this product. It's perfect! Our pup will be wearing it down the aisle at our wedding!